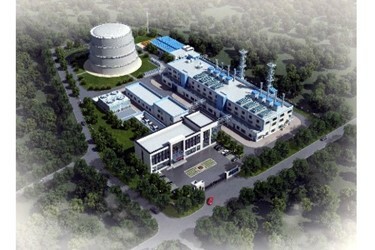 INNIO recently announced another significant order of Jenbacher gas engines in China. INNIO will supply Chongqing Yuxin Energy’s Chongqing Songzao Coal Mine plant, owned by Chongqing Energy Investment Group (CQEIG), with eight of its 3.35-megawatt (MW) Jenbacher J620 gas engines for an expansion of the coal mine methane (CMM) gas-fueled power plant. The project, located approximately 150 kilometers from Chongqing City, is supporting the country’s efforts to reduce the environmental impacts of coal production. When the 26.8-MW expansion will be completed in 2019, a total of 55.8 MW of gas engine power will be connected to the local grid. By capturing the mine’s methane-rich gas to produce on-site power with the Jenbacher gas engines, a significant reduction of the potent greenhouse gas emissions can be achieved that would otherwise escape into the atmosphere. The first phase of the power plant features 51 smaller gas engines from a local supplier. It is the first time that CQEIG is using imported brands for the Chongqing Songzao Coal Mine. INNIO was chosen due to its expertise, technology, flexible engineering design and high fuel flexibility to burn the available coal mine gas. While natural gas is expected to take on a larger role in China’s energy supply mix compared to coal and diesel, CMM gas still is expected to be a big growth segment for power generation within the next five years. This is especially accurate for CQEIG in the more than 150-MW segment. The project also supports the government’s goals for CMM exploration and utilization to help reduce the country’s methane emissions and may enhance the new energy company’s profit. For the project, INNIO will provide the gensets, commissioning services for the generator sets and related equipment. In addition to the Jenbacher gas engines, INNIO’s channel partner, CAMDA, will provide related balance of plant equipment—including the radiators, silencers, control panels, exhaust boilers and associated equipment as well as installation and other services. Headquartered in Jenbach, Austria, the business also has primary operations in Welland, Ontario, Canada, and Waukesha, Wisconsin, US. For more information, visit www.innio.com.